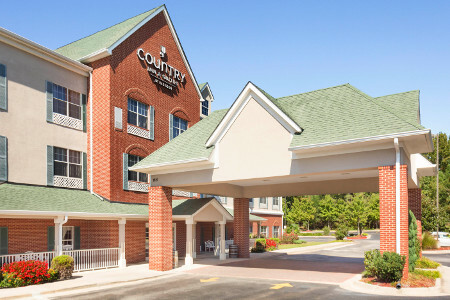 At the Country Inn & Suites® by Radisson, Fairburn, GA, our staff welcomes you with Southern hospitality and a convenient location right off I-85. 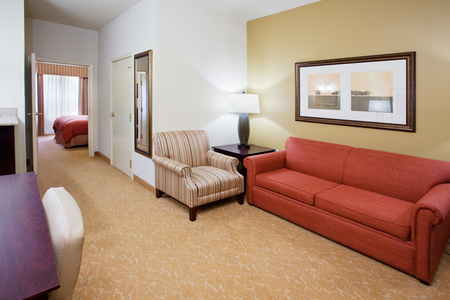 We’re just 15 minutes from Hartsfield-Jackson Atlanta International Airport (ATL) in Atlanta’s southwest suburbs. Get a great night’s sleep on Serta® Perfect Sleeper bedding in one of our comfortable hotel rooms, and then wake up to our free, hot breakfast. We completed renovations in early 2019. Come see our fresh new look! Need more space for your Georgia Renaissance Festival gear? 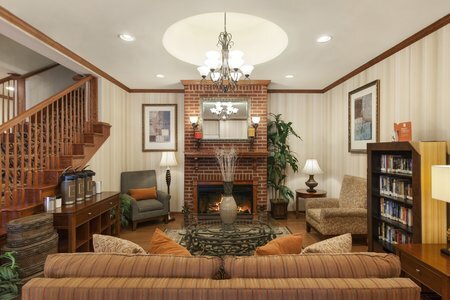 Reserve a One-bedroom Suite to enjoy a separate living room with a sleeper sofa along with all standard amenities. Wake up to waffles and bacon each morning at the hotel’s free, hot breakfast, where you can choose from favorites like oatmeal, fresh fruit and hot coffee. For lunch and dinner, walk across the street to restaurants like Chick-fil-A and McDonald’s, or plan a special night out at Nikko Japanese Steakhouse & Sushi Bar for a fun hibachi show. Georgia Renaissance Festival – Step back in time to watch medieval-style glassblowing artisans, see a joust and try your hand at axe throwing. This re-created 16th-century European fair is just four miles northwest of our hotel. Historic Downtown Fairburn – You can explore downtown Fairburn and its Southern charm just four miles away. Browse the shops and art galleries or check out the train depots of this National Historic District. World of Coca-Cola® – Taste more than 100 beverages, learn how Coca-Cola® is bottled and bring home souvenirs from the world’s best-known beverage brand. The World of Coca-Cola® is a 30-minute drive north on I-85. 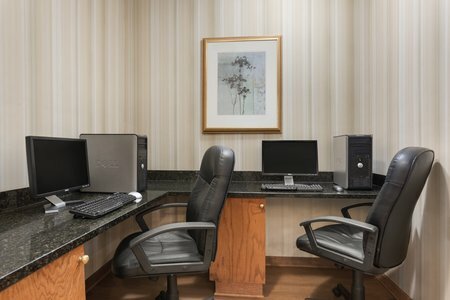 Bring your corporate meeting or family reunion to our Fairburn hotel, where your guests will be close to the airport but out of Atlanta traffic. Our meeting space can accommodate up to 100 attendees and includes a projector and screen, catering recommendations and the assistance of our dedicated staff for your event.